Our industrial painting company can take care of all your painting needs. Industrial buildings are often built for function, not fashion. However, this does not mean that they can’t look nice. A fresh coat of paint can do wonders in and outside of a building, making it look nice and clean. 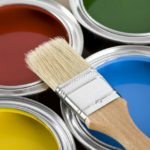 Painting industrial buildings can often be challenging, which is why you need to find a professional industrial painting company to get the job done. They will have the experience and know how to accomplish any industrial painting job. At Prep-Rite Painting, we are just the industrial painting company for the job. We have over two decades worth of experience painting and no job is too big or too small for us to tackle. We can come to your Raleigh, North Carolina industrial building and go over exactly what you would like to be done. We can work around your schedule and make sure that we come and paint at a time that is convenient for you. We work quickly to make sure the job gets done fast, but we do quality work. We are very meticulous and pay close attention to every little detail. We will arrive when we say we will and will work hard to stay on schedule. If you are looking for a great industrial painting company, contact us at Prep-Rite Painting today. We have all the tools and equipment to get any job done. We will work with you to make sure you are getting exactly what you want done and it will be done in a timely manner. At Prep-Rite Painting, our Industrial Painting Company proudly serve Apex, Cary, Holly Springs, Fuquay Varina, Chapel Hill, and Raleigh North Carolina.